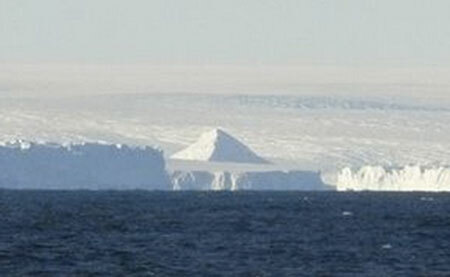 A group of explorers have reportedly discovered strange man-made ancient pyramids in Antarctica. For those who don’t already know, “when life first came onto the land, Antarctica was one of the continental landmasses to be covered in forests and animals. Much of the fossil record of the Antarctic landmass is under the ice, but fossils, including those of dinosaurs, can be found in the Antarctic mountains.” Continue reading for one more picture and additional information. The team is made up of 8 explorers from America and several European countries. Two of the pyramid structures were found approximately 10 miles inland while the third one was very close to the coastline. The team is currently planning an expedition to physically reach at least one of the pyramids to determine if it is natural or artificial. No time frame was given as to when this expedition will be taking place though.